We’re a couple of weeks late, but we still wanted to congratulate Jobrapido – one of MailUp’s largest-volume customers – for its recent sale to UK-based digital recruitment group Evenbase. 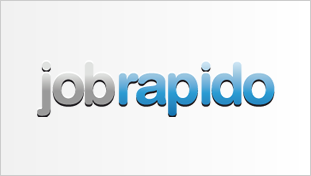 Jobrapido is the world’s sedond largest jobs aggregator and catapults Evenbase into the top 5 digital recruitment brands in the world. Evenbase was launched in January 2012 as part of Jobsite which was founded in 1995 and supports a network of over 30 niche job boards and more than 500 regional websites across the UK. Evenbase was created to focus on improving how companies find candidates and how candidates find work in both domestic and international markets. Evenbase CEO Keith Potts considers the acquisition a significant milestone in Evenbase’s global strategy to revolutionize the recruitment industry. Jobrapido is a powerhouse which boasts 660 million visits per year across 50 countries. They had 32.4 million unique visitors in March 2012 alone. The acquisition will give Evenbase quick access to 55 countries where they claim tens of millions of new job candidates. Jobrapido was founded in Italy by CEO Vito Lomele in 2006. In just 6 years they went from a small startup to 24 Million Euros in revenues and reached 6 million Euros of profits by 2011. Evenbase’s New Ventures Division purchased Jobrapido for 30 Million pounds and intends to keep Jobrapido in tact with CEO Vito Lomele housed in Italy. Learn more about the solution that MailUp created for Jobrapido.